We all make New Year resolutions, and at the time we all intend to keep them, don’t we? Then life just gets in the way and we slip back into old habits, eating at the wrong time, eating what ever comes quick and easy and unconsciously deciding we don’t have time to exercise. Sound a bit like last year and the year before and the year before that? It’s all to do with habits of thought, thinking it would be nice to stop smoking or lose weight and hoping or wishing we could stick to our resolutions really means that we have given it some thought and it’s a nice idea BUT we don’t really believe we will do it. However this year do it differently, make each of your New Year resolutions something you know you will do by writing it down as a goal, something you intend to achieve and posting it somewhere you will see every day. My method is to put it on a brightly coloured Sticky Note in my diary and move it to the next day after deciding what I will do on that day as one step to reaching those goals I have written down. That’s my rule, to schedule in one thing I will do to reach each of my goals everyday, it may be something small if I am having a particularly busy day but I will do something! So what goals do you have for the new year? 1. Write them down on a sheet of paper right now. 3. Put each of these affirmations onto a sticky note in a row from top priority to low priority and if your health is on the bottom you may need to revise your priorities, how can you achieve anything else if you are not healthy, fit and full of energy? 4. Stick your sticky note into your dairy and when you look at your diary each day read through your list of goals and mark down on that page what one thing you will do on that day to reach each of those goals – AND THEN FOLLOW THROUGH!! Next thing you know you will have achieved all of those goals and be on your way to writing a new list, good for you! Are you a resourceful and resilient woman? Are you competitive? Then your waist measurement may be larger than your less competitive and resourceful friends! Don’t bemoan your so-called imperfections though, your larger waist to hip ratio may be doing you a really big favour. In other words, trading the benefits of a thin waist for better ability to collect resources may be a good deal in certain societies and situations. And there is evidence that male mate preferences may reflect this trade-off, according to Cashdan. In Japan, Greece and Portugal, where women tend to be less economically independent, men place a higher value on a thin waist than men in Britain or Denmark, where there tends to be more sexual equality. And in some non-Western societies where food is scarce and women bear the responsibility for finding it, men actually prefer larger waist-to-hip ratios. “Waist-to-hip ratio may indeed be a useful signal to men, then, but whether men prefer a WHR associated with lower or higher androgen/estrogen ratios (or value them equally) should depend on the degree to which they want their mates to be strong, tough, economically successful and politically competitive,” Cashdan writes. “One of the most interesting things that came out of the conference – with applicability to large numbers of women – was the discussion about why women gain weight during menopause,” said Dr Sainsbury-Salis. “We don’t know exactly why menopausal women stop moving as much. But we know it’s not because of their age and the lifestyle constraints happening at that time of life. Research suggests it’s directly related to the lack of oestrogen, which has dramatic effects on signals the brain sends to the body. We’re doing research to see what causes these effects and whether or not they continue long-term. “During menopause, most women experience redistribution of fat, often gaining weight around the middle,” said Professor Campbell. “As we have demonstrated in our research, abdominal fat is a risk factor in the development of cardio-metabolic diseases, such as diabetes. Prior to menopause, women have a lower risk of heart disease than men. Menopause equalises that risk. An Australian study into diets that help to move fat deposits or keep fat off altogether has found that eating higher protein meals helps to burn fat more efficiently, especially for those who are already overweight or obese. “Study participants were put on two protein-enriched meals and one standard meal, which all contained the same number of kilojoules. The two protein-enriched meals differed in the type of carbohydrate they contained – either high- or low-GI. The amount of kilojoules subjects burnt was then measured. The high-protein meals led to the greatest level of fat oxidation. This plan included a cheese and tomato omelette for breakfast, and a beef, chutney and salad sandwich, with a tub of low-fat yoghurt, for lunch. “The researchers wrote that previous studies relied heavily on BMI (body mass index, a person’s weight in kilos divided by the square of their height in metres) to assess the link between body fat (adiposity) and risk of death, but not many had looked into the effect of how the body fat is distributed. For the study the researchers used data from 359,387 participants from 9 countries that were taking part in the European Prospective Investigation into Cancer and Nutrition (EPIC), one of the largest long-term prospective studies in the world. The average age of the participants when data were first collected was 51.5 years, and 65.4 per cent were women. Using a statistical tool called Cox regression analysis the investigators looked for links between BMI, waist circumference, and waist-to-hip ratio with risk of death, while taking into account other factors like age, location, education, smoking, alcohol, exercise and height. 14,723 of the participants died over a mean follow up period of 9.7 years. Participants with a high BMI, compared with those in the medium range, were more likely to die from cardiovascular diseases and cancer. Participants with a low BMI were more likely to die from respiratory diseases. BMI of 25.3 for men and 24.3 for women was linked to the lowest risk of death. After adjusting for BMI, waist circumference and waist-to-hip ratio were strongly linked to risk of death. The 20 per cent of participants with the largest waist circumferences (the top quintile) had waistlines measuring more than 120 cm or 47.2 in for men and more than 100 cm or 39.4 in for women. The 20 per cent with the smallest waist circumferences (the bottom quintile) had waists smaller than 80 cm or 31.5 in for men and less than 65 cm or 25.6 in for women. For every 5 cm increase in waist circumference the risk of death went up by 17 per cent in men and 13 per cent in women. Comparing the top quintile for men had a relative risk of death of 2.05 (95 per cent confidence interval(CI) of 1.80 to 2.33) and for women this figure was 1.78 (95 per cent CI 1.56 to 2.04). For waist to hip ratio the top to bottom quintile relative risks were 1.68 (95 per cent CI 1.53 to 1.84) for men and 1.51 (95 per cent CI 1.37 to 1.66) for women. They said doctors should measure waistlines and hips as well as BMI when doing routine health checks. The researchers found that waist to hip ratios varied widely among different countries in Europe. They suggested that the reason increased waistlines are linked to higher risk of death could be that fatty tissue in the abdomen secretes cytokines, hormones and chemicals that are known to increase the risk of chronic diseases such as cardiovascular diseases and cancer. “Our study shows that accumulating excess fat around your middle can put your health at risk even if your weight is normal based on body mass index scores,” he added. Riboli said that apart from smoking and drinking there are few other individual characteristics that can increase a person’s likelihood of early death. Although the study did not look into why some people have larger waistlines the researchers suggested this was mainly due to genetic factors, physically inactive lifestyles and poor diets. He said if you have a large waist you should exercise every day, avoid drinking too much alcohol and improve your diet. We’re very close to launching our new program please stay tuned for the announcement. A study in the October Journal of Occupational and Environmental Medicine, official publication of the American College of Occupational and Environmental Medicine (ACOEM reports that statistics for Metabolic Syndrome (leptin and/or insulin resistance), could be as high as 1 in 4 American workers! This cluster of resistance syndromes that result in premature aging, heart disease, obesity, diabetes and other inflammatory and immune system challenges is affecting so many people in the western world or who take on our western diet. “Metabolic syndrome is defined as having at least three of five disease risk factors: large waist circumference (more than 40 inches for men and 35 inches for women), high triglyceride levels, reduced levels of high-density cholesterol (HDL, or “good” cholesterol), high blood pressure, and high glucose levels. People with metabolic syndrome are at high risk of cardiovascular disease and type 2 diabetes. In the workplace sample, men and women had similar rates of metabolic syndrome, although men had a higher average number of risk factors. As the number of risk factors increased, so did the rate of lifestyle health risks such as obesity, low physical activity, high stress, and smoking. Workers with metabolic syndrome were also more likely to rate their own health as fair to poor, compared to workers with fewer risk factors. Workers with more risk factors missed more work days because of illness. The percentage of workers with three or more sick days in the previous year increased from 25 percent for those with no risk factors to 39 percent for those with all five risk factors. Metabolic syndrome was not linked to increased “presenteeism”-days the employee was at work but performing at less than full capacity because of health reasons. There was a trend toward higher rates of short-term disability, but this was not significant. Affecting approximately 69 million U.S. adults, metabolic syndrome has major health and economic consequences. The new study is one of the first to examine the effects of metabolic syndrome in the working population. Another report states that studies into Metabolic Syndromes show that increasing your intake of calcium rich foods and getting some exercise could cut your risk of ending up with these health challenges and even manage them well enough to get off your medication. “Health behaviors also appeared to have a significant influence. The researchers found that adults who reported little or no daily exercise had nearly twice the risk of developing the condition. Coming soon our new Vibr-Trim Weight Loss Studio will be opening soon online and in centre. More news soon. Over the past 10 years, diabetes rates have doubled in most Western Countries! Yes doubled!! This survey of diagnosed diabetes rates in the US, the first of its kind in the US proves the point, and that doesn’t count the many un-diagnosed diabetics or those with leptin or insulin resistance around the US. 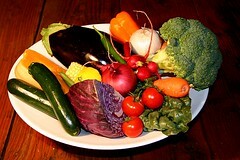 But it does prove that everyone eating a western diet needs to wonder why and then act on the information they uncover. We are literally eating ourselves to death, through pure indulgence. “Because of the increased number of patients, growing reliance on multiple medications and the shift toward more expensive new medicines, the annual cost of diabetes drugs nearly doubled in only six years, rising from $6.7 billion in 2001 to $12.5 billion in 2007 according to a study in the Oct. 27, 2008, issue of the Archives of Internal Medicine. What can you do for your family? Rethink what you and your family are eating. Get some information on Insulin Resistance and Leptin Resistance the two leading causes of diabetes, heart disease, PCOS, obesity, WAT, and age related declines. 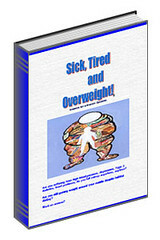 Take a look at these eBooks, written specifically about these health challenges and what you can do about them. Our new VibraTrim Program will be launching soon! Are you feeling too unfit or unmotivated to really make any headway? Try our VibraTrim Program where finding the trimmer, fitter you could be so easy it’s just like cheating! 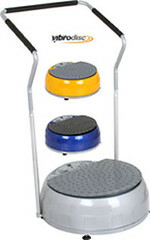 The vibraTrim Program uses Vibration Training to make it much easier to get started no matter how unfit you are and as a member you will have a yearly access to the tools you will need to stay motivated and get trim, taut and terrific (we know you already are terrific so we are starting right there). Social site just for members so you can make new friends, ask questions of the forum and our experts forms groups and networks and stay motivated. Online workout and teaching videos of just how to use the Vibration Platforms for great results, more exercises you can use and motivation and goal setting seminars via video to keep you on track. We will be opening our VibraTrim Program doors soon: http://health-fitness-videos.com/ so stay tuned for the announcement!